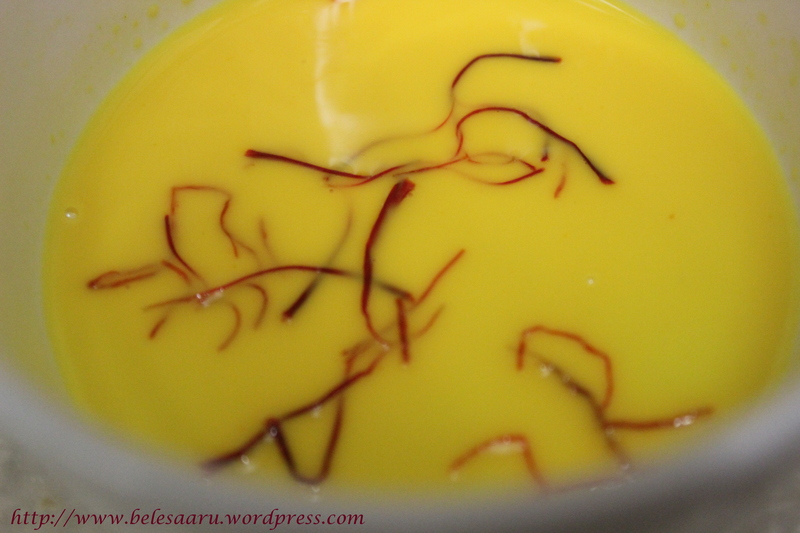 Heat 1 tbsp of milk in a microwave safe bowl for 15 seconds and add the saffron strands and keep aside. 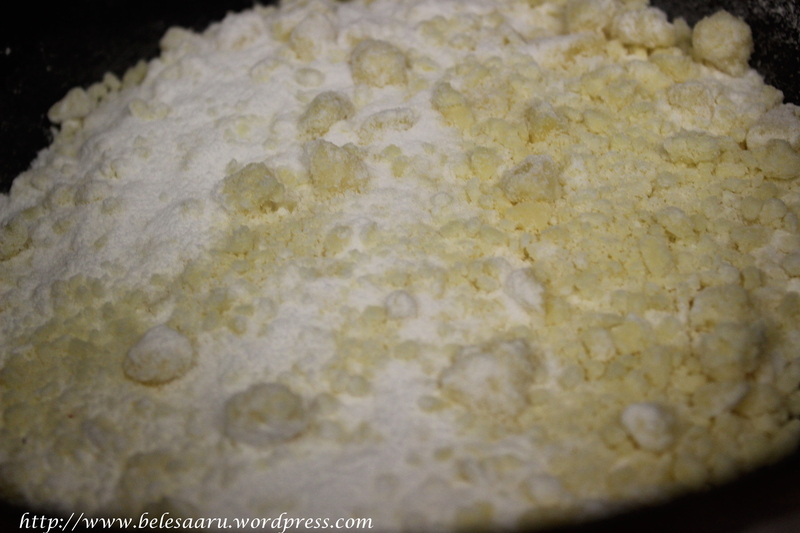 Crumble the khoya and mix it with powdered sugar in a nonstick pan on medium heat. Keep stirring until it forms a thick mass (approx 7-8 minutes) Add cardamom powder. 1:If cutting them into squares or diamond shape-Grease a heatproof plate with 1/4 tsp ghee or clarified butter, spread the mixture and cut them into desired shapes when warm. 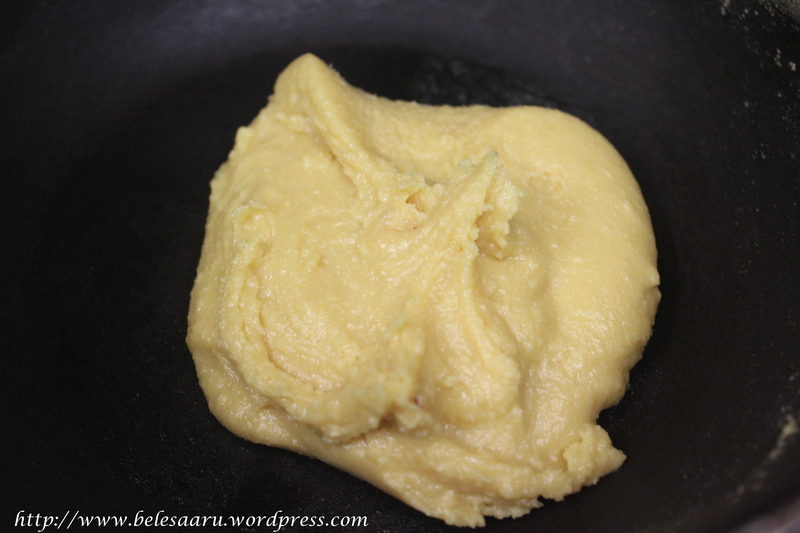 2: If making them into round shape-Let the mixture cool for few minutes. Make them into small 1-2 inch rounds with your hands (by pinching 1-2 inch mixture from the lump and gently rolling them in between your palms), when they are still warm. Garnish with few pistachios and saffron strands and serve. 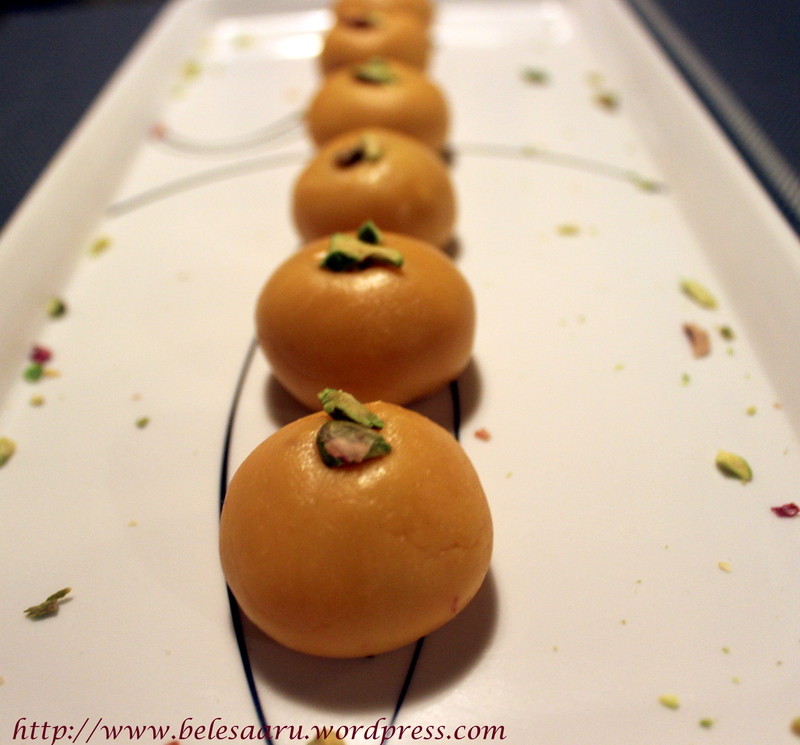 Lovely and mouthwatering to look at peda. Excellent pics. Shall lookout for the khoya and tried out this delicious sweet. Thank you.. Yeah give it a try..
Looks delicious, btw, can i use paneer instead of khoya??? Well, using paneer will yield you a different sweet called kalakand 🙂 and the process varies. Pedas are excusively made of khoya or khoa (which are thickened form of milk and you can try buying them in any indian store). 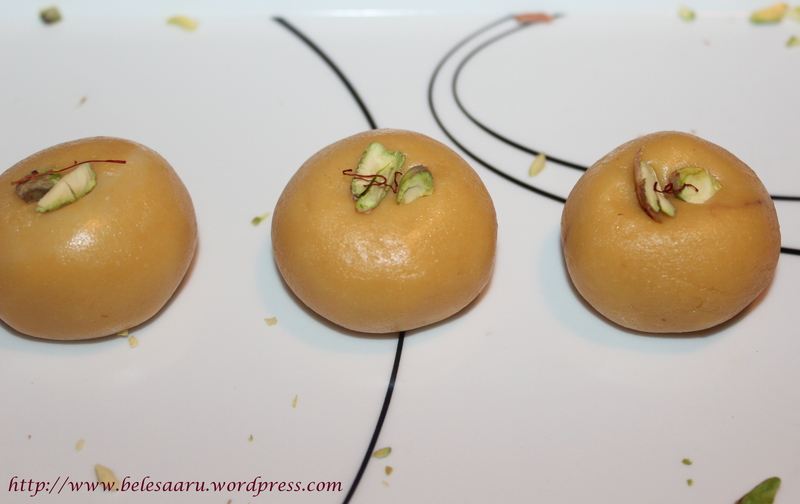 Khoya can be prepared at home too (very simple but time consuming). 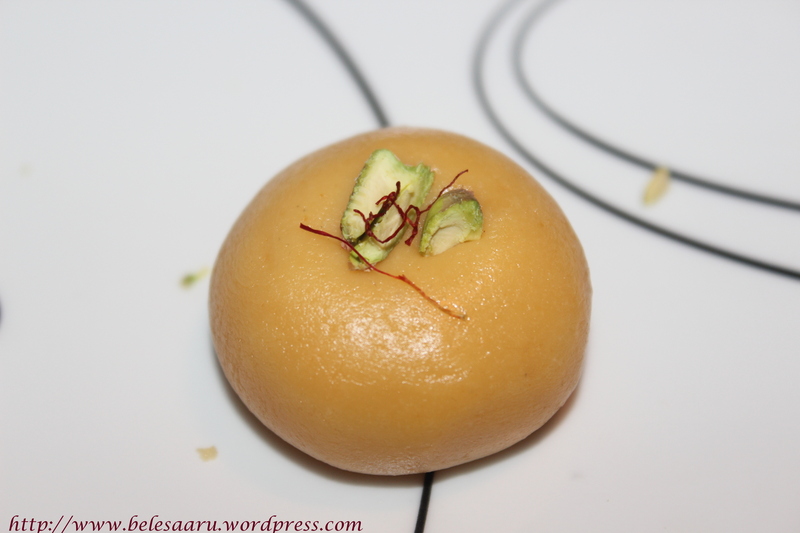 Deepti, what a very pretty and interesting treat of a dessert – I had never heard of the ingredient khoya and I love to visit blogs and learn about new ingredients and recipes. 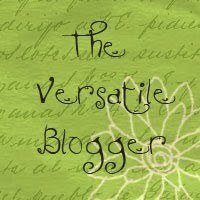 Wonderful recipe, great pictures, thank you for posting and for visiting my blog and leaving such a kind comment!